A rumble went through the sleepy town of Alamo, Nevada. It didn’t come from the nearby Extraterrestrial Highway or Area 51. 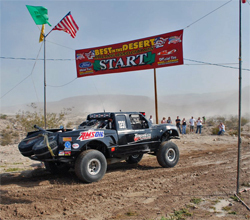 It was the sound of modified trucks starting their engines for the Best in the Desert Silver State 300 race. 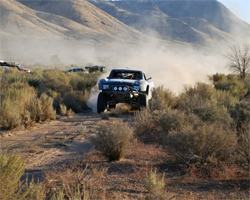 The Silver State 300 is a single loop around the most desolate areas of Eastern Nevada. 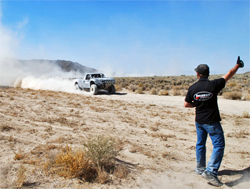 Trucks power through a variety of terrain with smooth roads, rocky silt, water and dust. Kuntz drove the entire 322 miles and Lovell navigated the No. 7231 Torchmate Ford Ranger. The rest of the Torchmate Racing Team was there for logistic and pit support. The race resumed after the wreck was cleared. Officials staggered restart at 30 seconds apart. The restart worked out in the Torchmate Team’s favor because they were able to take fuel and maintain their position at the front of the pack. 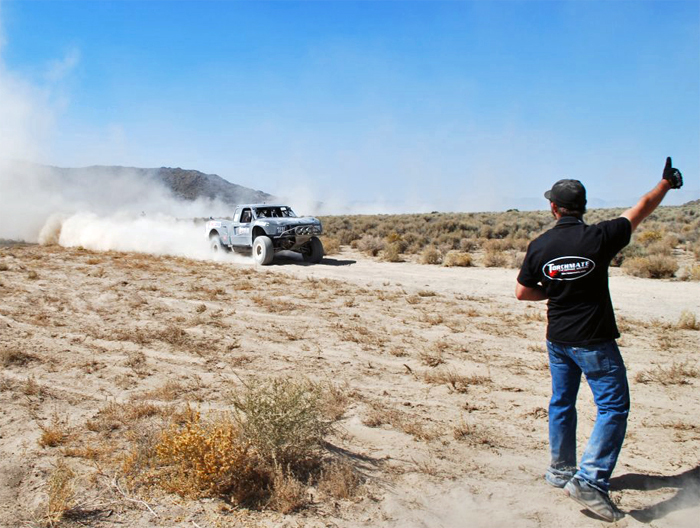 The Torchmate Team will next convene in Farmington, New Mexico on October 3rd to battle for top honors at the WE-Rock Grand Nationals. From there, Lovell is off to the Baja 1000.